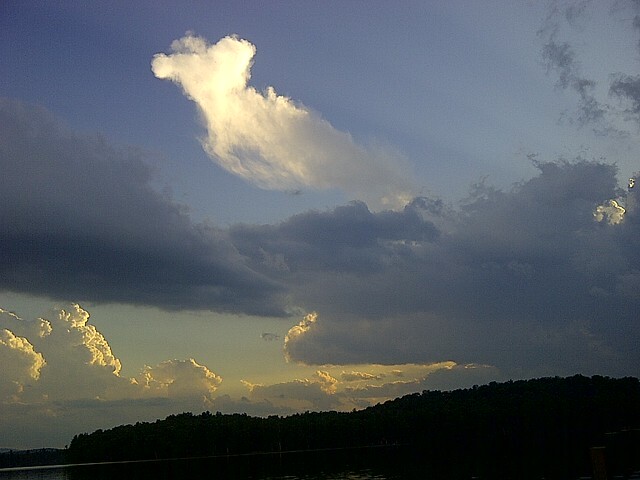 I've accumulated a few new pictures along the way, all on my Blackberry (yeah, I know). A buddy of mine spent a couple of weeks in China, and brought me back this t-shirt. I call it "Obamao." Anyway, my friend believes that it is a sincere gesture of solidarity, rather than a Tea Party plot. Anybody out there who can read the characters? 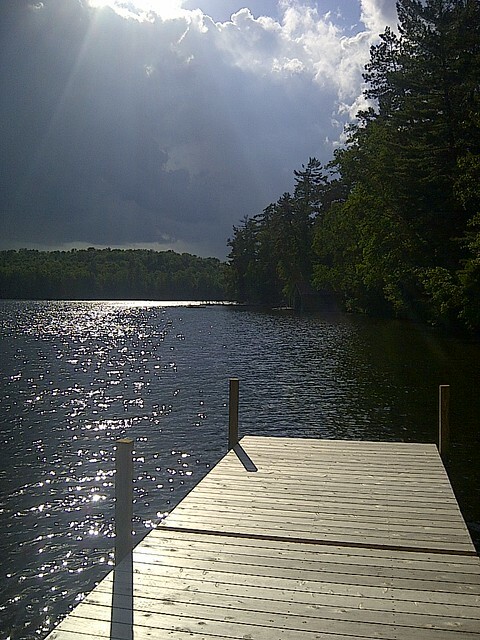 I spent a few days at our family place in the Adirondacks. Long-time readers know how much I love the light up there. 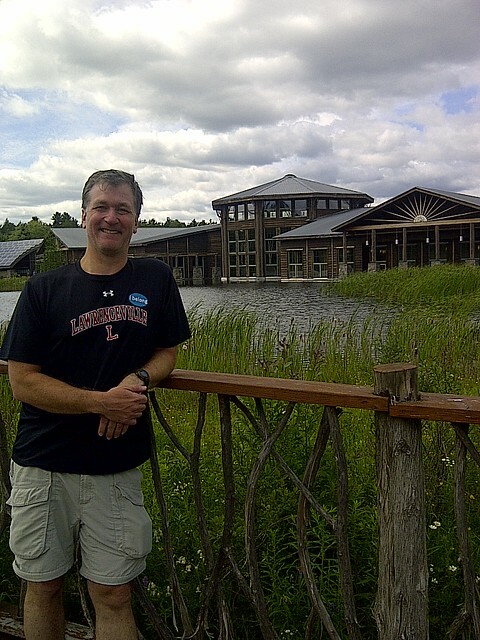 Your blogger at The Wild Center, the natural history museum of the Adirondacks in Tupper Lake. If you like science museums, you'll love the Wild Center. 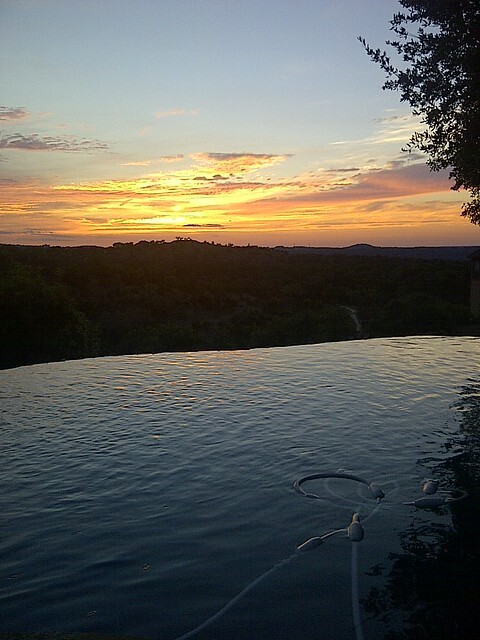 A sunset from our place in Austin. Right back at you. Love the pics. 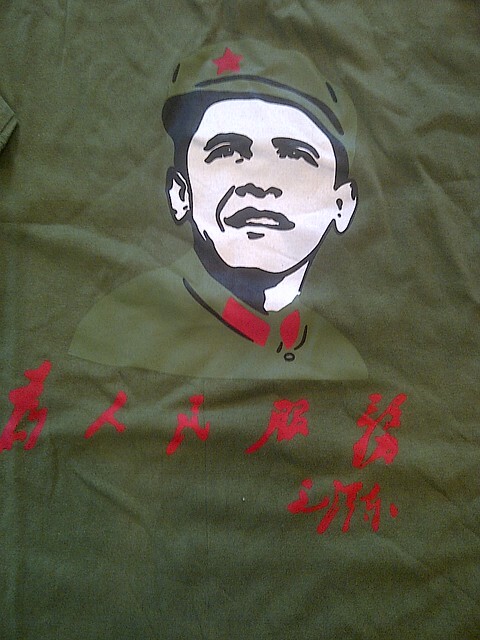 A friend of mine tells me the characters on the Obama t-shirt read "Serve people." Eric, are you sure you have that right? I have a friend who says it's "Serve dog." I believe it is best translated as "Serve me! ", using the first person affirmative imperative form. You would say something like this to a maid or waiter working for you at a dinner party. Near misses between commercial aircraft in controlled airspace are almost unheard of in the US today. It looks like you were in an Airbus A-series. The other jet is either an Airbus or a Boeing. It appears both jets were at an altitude at which they were flying by wire. You were completely safe. Great pic nonetheless. I agree with Anon Attorney that what you have in the picture is not a near-miss, but they aren't that rare (depending on how near "near" means). Reducing the number of traffic collisions is a major goal of the FAA's broad NextGen air-traffic control improvement program. Also, the plane he's on is almost certainly a Boeing, not an Airbus, and likely a 737. 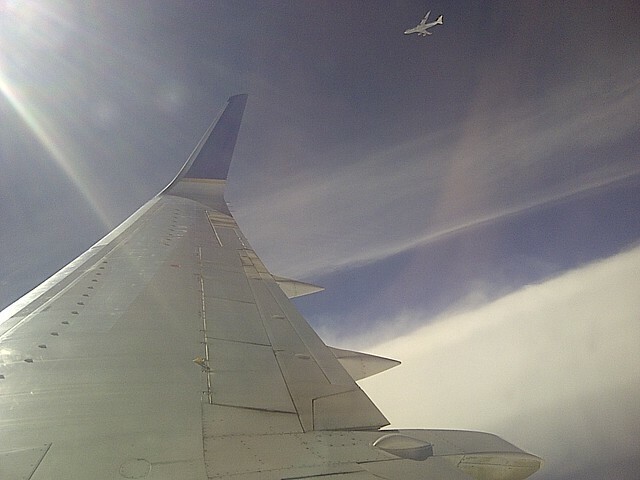 The wing has a winglet, and to my knowledge no in-service Airbus aircraft have winglets. Airbus favors the much smaller wingtip fences that you see on, for instance, most A320s. The large winglet in the picture is characteristic of Boeing aircraft. My guess is that the plane is a 737, since that looks to me like a 737 wing. I don't think anyone runs a 757 on the EWR-AUS route (plus there are fewer 757s with winglets). A widebody is essentially out of the question for that route. As an aside, I'm not sure what Anon Attorney meant by "Airbus A-series." Every civil aircraft Airbus makes is named on the A3xx scheme -- it's the Airbus equivalent of Boeing's 7x7 model numbers. In fact, every aircraft Airbus has ever produced has been named A-something. Finally, the other plane in the picture is either a 747 or an A340, judging by the number of engines. If you look, you'll see it's a quadjet, and there are really only two of those in material service in US airspace today (seeing an A380 would be pretty rare, but maybe). All of the quadjets are quite large aircraft, which may have contributed to the perception that that plane was closer than it actually was. Wild guess is that that's a 747, but I don't know enough to be at all confident based on the planform view we've got here. Perhaps someone who knows more can enlighten us. Sorry -- in the first paragraph of the above comment it should read "traffic conflicts" instead of "traffic collisions." Collisions are very rare, due to TCAS and likely some luck. The Chinese characters say, "To serve the people." The calligraphy was by Chairman Mao. It's a direct quote from Chairman Mao, unchanged. That's Mao's signature at bottom. The quote is famous in the Chinese revolution: "Serve the People". 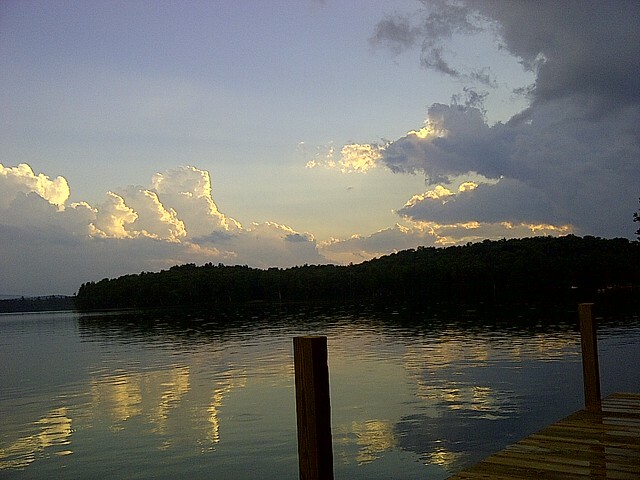 Yes, the Adirondacks are beautiful. I climbed Marcy, Gothics and other mountains as a teen. Whiteface mountain bobsled ride is great. And the North Pole childrens' park was loved by my kids at the time.